Unlike most e-commerce websites based around physical products, due to limitations on kitchen size, there are a limited number of orders that SecyCooking can delivered each day. 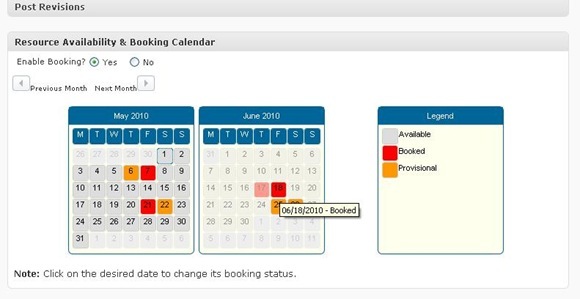 As a result, a booking system with limited daily spaces, similar to a hotel room booking system, was required for the checkout page. This seemed simple enough but it was unclear how to manage events. Essentially, it's a simple calendar for listing archive dates without the flexibility we needed for our e-commerce site. In spite of the unfavourable reviews, we investigated this plugin further, as on paper, it appeared to have the functionality we required. Unfortunately, in practice it was difficult to work with - so gave up on this option - looks like the wisdom of the crowds was right again. 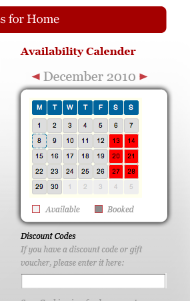 In the end, we chose to use Resource Booking and Availability Calendar, which although a availability calendar designed purely to show availability, had the facility to enable us add extra code to make bookings or do whatever we needed. We modified this plugin massively, rewriting the mootools stuff with jquery to get the specific functionality we required. 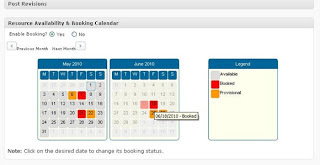 The newly revised calendar booking plugin is now suitable for use across a wide variety of booking / calendar requirements - and has been customised to reflect the website design more clearly. Click here for part 4 for E-commerce Website Design using WordPress where we cover the creative use of Google Maps & Google Places for SEO purposes within E-commerce websites.